HARARE – With the majority of the citizenry getting poorer by the day owing to the biting economic crisis, the cash-strapped government of President Emmerson Mnangagwa has splurged over $2 million on top-of-the-range Land Rover Discovery vehicles for Cabinet ministers. The ‘Daily News on Sunday’ can exclusively reveal that these fuel-guzzlers were acquired at an estimated cost of $107 000 each, translating to a combined total of over $2,14 million for the 20 full Cabinet ministers handpicked by Mnangagwa in September this year. Dubbed in motoring circles as a monster car, the new Land Rover Discovery has many exclusive signature features that make it a preserve for the rich. A check on the Land Rover website indicates that the car offers a wide range of optional extras that take personalisation further and is fitted with a suite of intuitive technologies such as adaptive dynamics that constantly monitors its movement, reacting accordingly to minimise body roll and give the driver exclusive comfort. Other fitted technologies include the surrounding digital camera system, a premium audio system that delivers perfectly optimised sound quality and permanent four-wheel drive. It also has a 20-inch five split-spoke ‘Style 502’ alloy wheels, semi-aniline leather seats, front climate seats, heated rear seats, with 20-way driver/20-way front passenger seats and driver and passenger seat memory as well as xenon headlamps with signature lighting (includes headlamp power-wash and a choice of either fixed or sliding panoramic roof (including power blinds). Deputy Information minister Energy Mutodi confirmed the development but said the vehicles were purchased after the seismic power shift in government and not after the July 30 polls. “The vehicles you are referring to — that the ministers were given — are those that had not been allocated to anyone from the last Cabinet; so they have been there, parked,” he said. “They are not newly-acquired as Treasury has made it clear that it will purchase new vehicles for ministers in the first quarter of 2019,” added Mutodi. After taking-over from former president Robert Mugabe in November last year, Mnangagwa constituted a new Cabinet that was heavily criticised for recycling the deadwood from his predecessor’s failed regime. 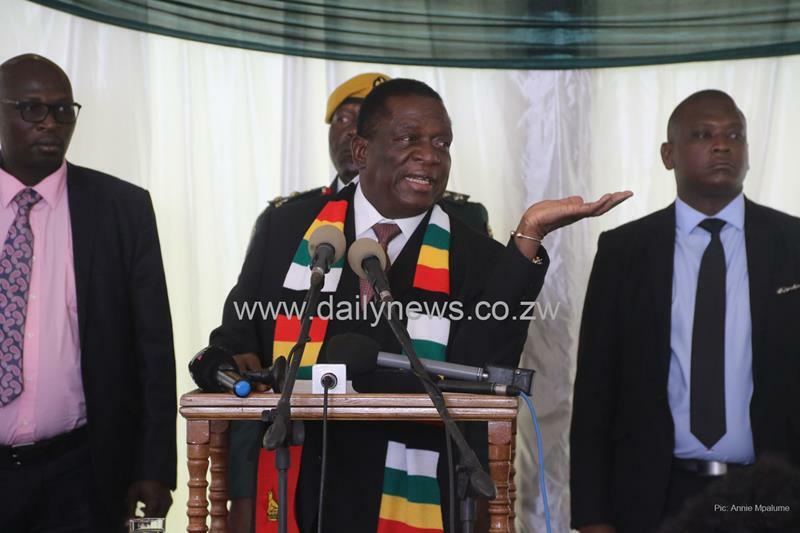 Most of the ministers were to fall by the wayside after Mnangagwa secured his first five-year term in the July 30 harmonised polls, with some of those who could not make the grade being shunted to the Zanu PF headquarters where they are now working for the party on a full time basis. While Mutodi claims that the vehicles had not been allocated to anyone from the previous Cabinet, the development still points to systematic self-aggrandisement and patronage by the current government. It also flies in the face of an announcement by Finance minister Mthuli Ncube who claimed in September this year that he had suspended plans to buy vehicles for new Cabinet ministers and Members of Parliament. This, Ncube said, had been necessitated by the need to channel the money towards fighting a cholera epidemic, which claimed over 50 lives and infected over 7 000 people in and outside Harare. During a pre-budget workshop for MPs in Bulawayo last month, Ncube was quoted promising the 350 legislators in Parliament that government will allocate funds for their vehicles in what could see Treasury shelling out over $20 million. The latest development is therefore being viewed as serious extravagance and gross insensitivity by a financially struggling government that is currently in sixes and sevens as to where it will source money to avert a fuel crisis that has also led to price increases in every facet of the economy. Government is currently struggling to bankroll a string of critical services, including funding the deteriorating health care system and paying an increasingly restive and bloated civil service that is gobbling more than 80 percent of its national budget. Zimbabwe is currently experiencing a severe liquidity crisis, with service delivery remaining either poor or non-existent, while schools and hospitals as well as other public amenities remain grossly underfunded. At the time of going to print, it was not clear whether Treasury would also acquire new vehicles for the 10 Provincial Affairs ministers, deputy ministers and two ministers of State in the offices of vice presidents Constantino Chiwenga and Kembo Mohadi. In the past, Provincial Affairs ministers qualified for the same benefits as full Cabinet ministers, including making a choice between top-of-the-range Mercedes-Benz sedans, Range Rovers and Toyota Land Cruisers. Deputy ministers are normally availed Mazda BT50s and Mercedes-Benz sedans.